Molding oneself to become a designer starts with your passion for beauty, and a great desire to attain it in everything you do. If you possess that love for designing, then you'll surely have the ability to turn something that may seem obsolete into a functional work of art. But having that urge to become an interior designer is not enough to help you reach your ultimate goal. Without obtaining the proper skills, knowledge, and education, you can never claim yourself to be one. In honing yourself to become a designer, you must first know what the real purpose of an interior designing, and why it is necessary to equip yourself with the essential skills and knowledge for creating a remarkable, and artistic space. Alex Abossein shared some important information how to become an interior designer. Let's start by drawing the thin line between an interior decorator and designer. Most of us believe that an interior designer is one and the same with an interior decorator. There is somehow a difference between them, although the nature of work is closely related. Both requires talent and an eye for beauty, in bringing out the best in a room, or for artists, a blank canvas. But what makes it different is that it does not only deal with the beautifying part, but designing in general. Aside from painting jobs, interior decorators don't get to touch the ceiling and wall design, they only leave it as is and stick what has already been built. They just add what they can to exude the character they want to portray for the room itself and even the user. But, with an interior designer, they get to control how their walls and ceilings will look like, according to the concept they have brainstormed upon. It is a far more complicated subject than other people may perceive, as it would need a lot of coordination with architects and engineers. So somehow you must at least know a bit of how these professionals work things out. Taking interior design courses and enrolling yourself in design schools will help you a lot in attaining your goal to become an interior designer, as it will help you gain the said essential capabilities needed to work your way into becoming an interior designer. Learn every bit of information you will get on that study, because keen attention to detail should also be one of a designer's character. This will one by one build the whole design. A designer should also know the rights and the responsibilities in relation to the people he works with and especially the people he works for. It also requires a lot of creativity, so you must know how to maintain and induce that in your works. You can do this by reading a lot of the related design books and magazines, updating yourself to new design trends by going to design and construction expos, and discovering newly invented tools and materials which can help you create new design trends as well. An interior designer must never stop innovating, as conversion is something constant with people, and in one way or another they will grow tired with what has always been there. So you must be prepared to present something new and fresh to capture their interest for your style. Although design trends follow a cycle--every time it passes this cycle, there is always something extracted and at the same time added to it. Therefore create a new style by taking only the old style as an inspiration and not the whole of it. In some countries, professional license is required to grant you the right to practice interior design. Although in some, all you need is a diploma or an interior design degree and you're good to go. So, in choosing where to practice the profession, be sure to make yourself aware of the certain requirements before you can work in that area, especially if you're planning to take your talent to another part of the world. 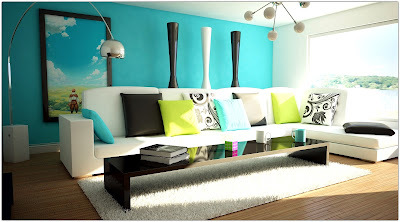 If a designer has attained the proper skill and knowledge for interior design, then he's sure to become one. But she should always keep it in her heart that passion is what will fire up the desire to succeed in the profession.